The autism-related research of UK alum and neuroscientist Dr. Blair Braden was featured recently on social media outlets of the Society for Neuroscience. Blair worked in the lab of Dr. Mark Prendergast many years ago, and attended graduate school at Arizona State University, where she is now a professor. Erin Calipari, an assistant professor in the Department of Pharmacology at Vanderbilt University, recently visited the University of Kentucky to give a talk about her work in addiction research. The neuroscientist (who also happens to be the daughter of UK Men's Basketball Coach John Calipari), met with students and faculty in the UK Department of Biology before presenting her lecture. UKNow caught up with Calipari to get her thoughts on UK's focus on fighting the opioid epidemic. She noted that UK is a leader in opioid addiction research. Eighteen University of Kentucky students are making their way to the State Capitol Building in Frankfort, Kentucky, to present their research at the 2019 Posters-at-the-Capitol event. This one-day annual event is held to show Kentucky legislators the importance of undergraduate research and scholarly work in Kentucky. The governor proclaims this day to be Undergraduate Research Day across the Commonwealth. "Posters-at-the-Capitol is a platform whereby undergraduates from across the Commonwealth’s eight public institutions proudly showcase their undergraduate research projects," said Evie Russell, assistant director at the Office of Undergraduate Research. "Each year, University of Kentucky students look forward to communicating their research achievements to Kentucky Legislators and their peers." 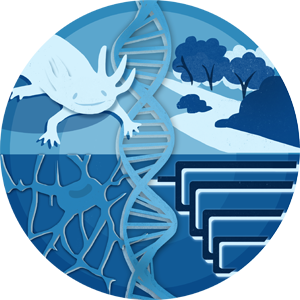 Regeneration is one of the most enticing areas of biological research. How are some animals able to regrow body parts? Is it possible that humans could do the same? If scientists could unlock the secrets that confer those animals with this remarkable ability, the knowledge could have profound significance in clinical practice down the road. Scientists at the University of Kentucky have taken this concept one step closer to reality, announcing today that they have assembled the genome of the axolotl, a salamander whose only native habitat is a lake near Mexico City. Axolotls have long been prized as models for regeneration, said Randal Voss, a professor in the UK Spinal Cord and Brain Injury Research Center and a co-PI on the project. University of Kentucky biology and neuroscience senior Esther Putman, of Lexington, is having an out of this world year. This summer, Putman was named one of 2018’s 50 recipients of a $10,000 scholarship from the Astronaut Scholarship Foundation (ASF). In addition, Putman was one of 40 recipients of a Brooke Owens Fellowship, which matches its fellows with paid summer internships in the aviation and space industry. The University of Kentucky College of Arts and Sciences will induct six new members into the A&S Hall of Fame on Friday, Oct. 19. For more about each honoree, see their brief biographies below. Ann Morris, an associate professor of biology in the University of Kentucky College of Arts and Sciences, has received $1.87 million from the National Institutes of Health (NIH) to continue her cutting-edge research in retinal development and regeneration. The Research Project Grant (R01), titled "Vertebrate Photoreceptor Development and Regeneration," will be funded over five years and supports Morris and her team's efforts to improve the understanding of cell differentiation in the retina, the photosensitive lining in the back of the eye. The project has the potential to lead to developments for treating human retinal degenerative diseases that can cause blindness, such as retinitis pigmentosa (RP), macular degeneration and retinal detachment. The University of Kentucky College of Arts and Sciences has named the first recipients of its Inclusion Fellows program, an initiative for faculty interested in actively orchestrating and advancing efforts to build a more inclusive campus. Fellows can develop and implement scholarly, community-building, pedagogical, mentoring and networking events, initiatives or programming. The fellowship period serves as a professional development opportunity for the fellows, as it enables them to enhance their responsibilities and bring forth new ideas and measures that will positively affect students. More than 45 of the University of Kentucky's students and recent graduates had the world's most prestigious scholarship, fellowship and internship organizations take note this year. The newest class of highly regarded scholars include UK’s 14th Truman Scholar and first Pickering Fellow. Helping prepare these UK students and recent alumni to compete for and win such honors is the mission of the UK Office of Nationally Competitive Awards. Under the guidance and leadership of Pat Whitlow, the office identifies and works with young scholars on the application process for large scholastic prizes awarded by regional, national and international sources. The University of Kentucky Woman's Club (UKWC) awarded $30,000 in scholarships to three students for the 2018-2019 school year. The recipients are Angela Chester, Michelle Kuiper and Lauren Spencer. Each will receive a $10,000 scholarship. Chester is a biology major in the College of Arts and Sciences. She has made the Dean's List two times and is a member of both the National Honors Fraternity and Phi Sigma Pi. Chester has work-study responsibilities with the Veteran's Resource Center and serves as a tutor for Student Support Services, where she is also a teaching assistant. Evander Harris, who is now a physics teacher at Frederick Douglass High School in Lexington, mixes compounds together with Henry Clay High School teacher and FCPS teacher partner Craig Schroeder at a 2016 Noyce STEM Summer Workshop. The University of Kentucky wants to not only recruit more students into science, technology, engineering and mathematics (STEM) majors, but also train those students to become STEM educators. Ph.D. Students Gain Science Advocacy Skills in D.C. This spring the Office of the Vice President for Research sponsored Kaylynne Glover, a Ph.D. candidate in biology, and Alexa Johnson, a Ph.D. student and graduate research assistant in the UK Sports Medicine Research Institute (SMRI), to go to Washington D.C. for “CASE: Catalyzing Advocacy in Science and Engineering.” This three-and-a-half-day program through the American Association for the Advancement of Science (AAAS) offered these young researchers a firsthand view of Congress, the federal budget process and effective science communication. Catherine Linnen, an assistant professor of biology in the University of Kentucky College of Arts and Sciences, is the recipient of the National Science Foundation's (NSF) prestigious Faculty Early Career Development (CAREER) award. The program will provide Linnen with $950,000 over five years to conduct research in evolutionary genetics and develop a teaching program to promote scientific research to students and the community. The two projects will be integrated to support the core goals of the grant. Congratulations ! Meghan Turner and Daimen Stoltz. Neuroscience majors and minors, we congratulate two Neuroscience majors who will be honored this Friday from 3-4 pm in room 221 of the Jacobs Science Building. Meghan Blair Turner will be recognized for her outstanding leadership and commitment to neuroscience outreach in the community. As the Founding President of NeuroCATS, Meghan has created the largest student-led organization on campus and has taken neuroscience into communities and schools across Kentucky, changing the lives of young people forever. Daimen Stoltz will be honored for her outstanding research in neuroscience. Daimen has worked in the lab of Dr. Warren Alilain for the past several months and has been key part of a team that is investigating respiratory difficulties that result from spinal cord injury. Jeramiah Smith, an associate professor of biology in the University of Kentucky College of Arts and Sciences, will deliver the National Institute of General Medical Sciences (NIGMS) Early Career Investigator (ECI) lecture next week at the National Institutes of Health. His talk, "Ancient Bloodsuckers, Disposable Genes, and What It All Means," will explore Smith's research on the genome of sea lampreys.